One the first day of December I change over every one of The Boy's reading books in his downstairs bookshelf for a Christmas book; over the years we've amassed a fair few! New books are wrapped up and tokens to receive them are placed in his home-made advent calendar, he manages to have a new Christmas book once or twice a week leading up to Christmas Day. This year is no exception and some of those new books are listed below. We've all been there; impatient children during the festive season shouting "Is it Christmas yet? ", and Big Bear is no different with this shout coming from Ted every five minutes in the lead up to the big day. 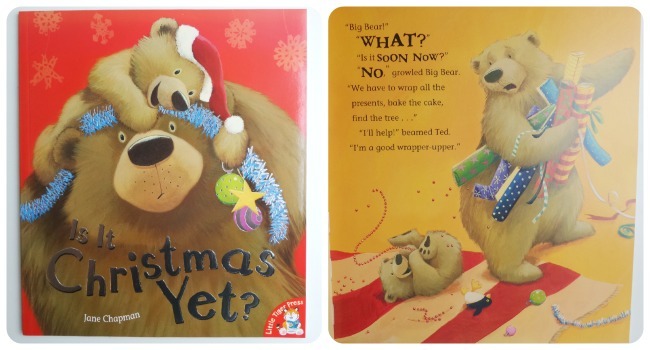 This delightful book follows their preparations, Ted's impatience, Big Bear's tolerance towards the mad rushing around, and then the happiness of Christmas morning and ripping the presents open. 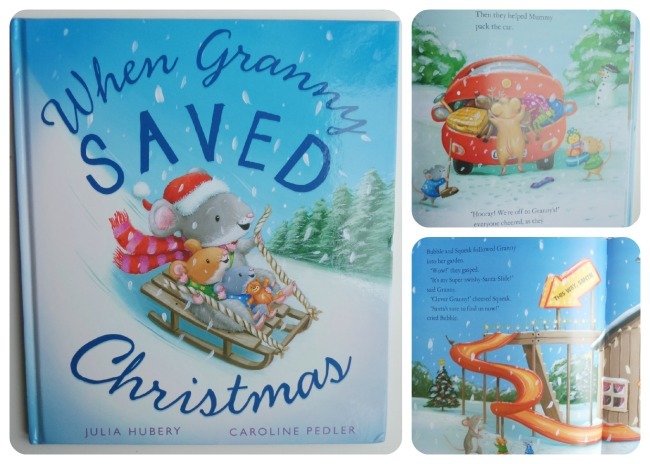 This book is such a sweet tale of a family of mice who are going to stay with their granny for Christmas. The two mice children rush around packing their clothes when they realise that Santa might not know where they are, so their mummy suggests they write a letter to him. They post the letter but realise they didn't leave the address so draw a map. With every base covered to ensure that Father Christmas can visit them on Christmas Eve, they set off to stay with Granny. The only problem is that when they arrive, they discover that Granny doesn't have a chimney! How will Santa manage to leave them presents? Granny comes up with a cunning solution and the day is saved! Lovely books and I love the idea of a Christmas book advent calender!